John Bridgland on John Liddy. John Bridgland’s recent publication Bending Maple, Carving Spruce has been released this week. 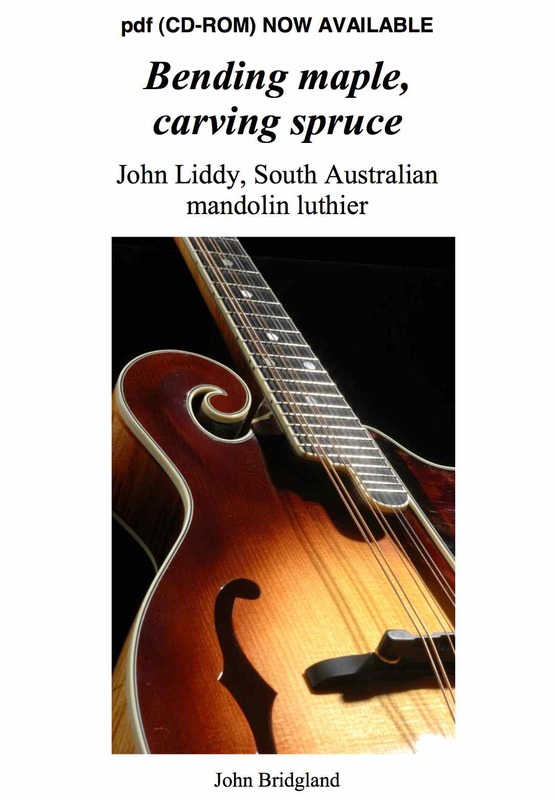 We caught up with John to ask what motivated the publication on South Australian mandolin and guitar luthier, Mr John Liddy. Why a book about a man who only spent 13 years working as a luthier? In the Australian bluegrass and roots scene most pickers don’t know much about local luthiers, so this one addresses John Liddy’s legacy. In Adelaide in recent years there had been a trio of great luthiers working on the main instruments in the bluegrass genre until John died in September 2013. The other two are still very much alive and kicking: Alan Funk, banjos, and Bryan De Gruchy, guitars. Both still make awesome quality instruments. Although John didn’t have the same long-term profile as Alan and Bryan (both about 35 years in the craft) his instruments quickly elevated him into the top tier of South Australian luthiers. You’ve previously written a book about Bryan De Gruchy? Yes – and for the same reason. But given John Liddy’s relatively short career, I wasn’t planning writing about him. However, his sudden death last year prompted me to gather as much as I could about his work, his views and his instruments. His family was very generous in giving me access to his records and photos, and I was able to pull together several interview transcripts, one in 2003 and another in 2008, which are fascinating in hindsight. I have been concerned to catalogue the life of one of South Australia’s great luthiers who, without this book, will almost certainly be totally forgotten as the decades pass. What was it about John’s work that promoted you to write? John started luthiery late in his working life, and the book describes how challenging it was for him to get going. The book might be the only Australian resource on the market today that reveals what one needs to do to start such a business and succeed in making jazz guitars and bluegrass mandolins. John chose to make arch-top style instruments, which are the most challenging to craft, and he has been the only South Australian to do so, at a very high quality level, in the past 50 years. His output, 20 guitars and 40 mandolins, was small, but it was very good. He set a very high standard, and so far there’s no sign of anyone following in his footsteps. What is you own background with the mandolin and writing books? I’ve been a blues and bluegrass musician for 40 years and when I changed from being a bluegrass guitarist to a mandolinist (in 1994), that was around the time John Liddy was looking to change his wood-working career towards instrument crafting. He didn’t start making mandolins until 2000, so when I was looking around for a better mandolin (in 2005), John’s F5s were locally available and very tempting. By the time I bought a Liddy F5 mandolin, I’d been playing bluegrass as a mandolinist for 11 years and had seen and played some pretty good instruments. As for writing, I’ve been a journalist and editor since the 1980s. I enjoy writing as much as I enjoy picking. What can we expect to read in the book? 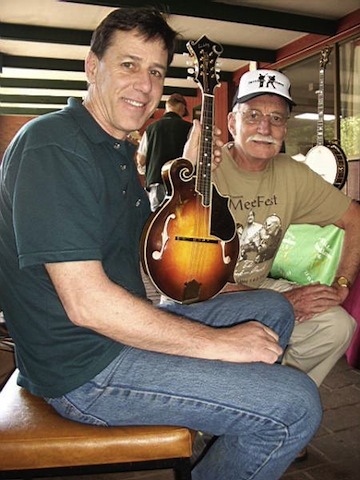 I begin with an essay titled: ‘Feeding the Australian jazz and the hillbilly market – the short career and contribution of a unique South Australian luthier’ which looks back on John Liddy’s visits to bluegrass festivals over about 10 years at which I too had been present. In my view much has changed over that time about those gatherings. John was working during a really interesting period that, in some respects, isn’t the same any more. Then I discuss the two aspects of John’s output: ‘the jazz business’ – about John’s crafting of jazz guitars for the Australian jazz fraternity, and ‘the bluegrass business’ – about John’s exploration of building F and A model mandolins. Each chapter reflects on the origins of the Gibson L5 Gibson guitar and the F5 mandolin, and why, so many years later, there are luthiers who dedicate their lives to replicating the quality of those ‘classic’ models that emerged early last century. There are also observations on the business of Australian luthiery, and an overview of the decade 2000 to about 2010 during which the values of mandolins boomed until the GFC. It also saw a change in player demographics as the older pickers began giving way to younger, roots-focused, players who don’t follow the repertoires of Bill Monroe or Flatt and Scruggs or the Stanley Brothers as the earlier generation did. Additionally, and appropriately, there’s a detailed appendix revealing his instrument models, sales numbers and specifications, for collectors in the future. I note that you have included Steve Gilchrist in your writing – why does he figure in the John Liddy story? Most Australian luthiers know each other and have seen each other’s work. Steve gets into the story because, having crafted great mandolins (and guitars) since the early 1980s, in my opinion he’s the standard against which all other luthiers around his age might be judged. Steve had to climb some challenging mountains when he started, although his US experience gave him a super-charged head start. By comparison, and being a non-player, John Liddy had a more difficult struggle to succeed. But his drive and passion for luthiery allowed him to go a long way in a relatively short period. 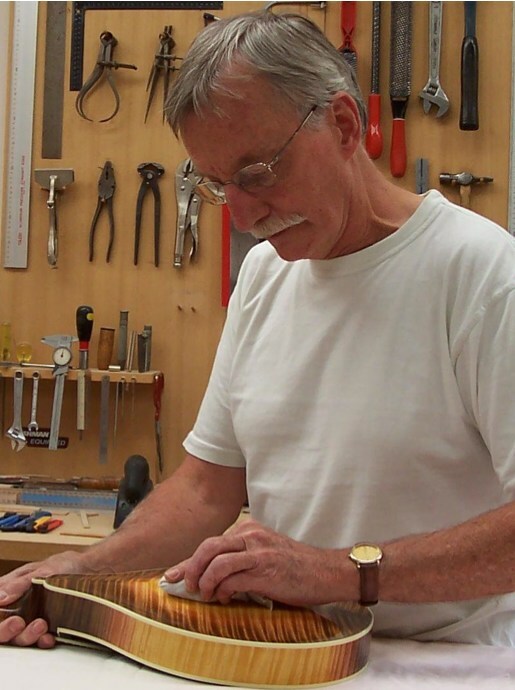 Other younger luthiers might take a leaf out of his book – and aspire to achieve as much as Steve Gilchrist has in 35 years. Who’s the book (and CD) targeted at? Musicians, the retail and wholesale music market, other Australian luthiers – or anyone who might want to consider beginning a business making instruments for the Australian market. More obviously, of course, for any owner of a Liddy guitar or mandolin, it’s a revealing glimpse of the man who made their instrument, how he became a luthier and the legacy he left. It’s $25 including postage in Australia and features colour photos of some of John’s great instruments. There’s also a tiny print run of (more expensive) spiral-bound ‘coffee table’ books with glossy colour photos. Enquiries to jbeditor@senet.com.au or phone Adelaide (08) 8211 8766 during business hours. It is with deep regret that we learn of the recent passing of noted luthier and exceptional gentleman John Liddy. Adelaide mandolin luthier, John Liddy, who died on 4 September 2013 aged 69, has left a legacy of widely admired mandolins across the Australian bluegrass community. John was South Australia’s finest (and sole) contemporary mandolin luthier over a 12-year period between the late 1990s and about 2009 that saw him before that period crafting arch-top jazz guitars. When he commenced his exploration into the mysteries of the mandolin, he created new opportunities for Australian bluegrass musicians, because good, mid-priced, professional quality mandolins were hard to find. For most of his luthiery career John was based in the Adelaide Hills suburb of Mount Barker, but at his death he was living in the coastal town of Goolwa, near Port Elliot, a beach hamlet where he grew up. Goolwa is about 90 minutes’ drive from Adelaide. In the early 2000s, Adelaide musician Paul Thompson interviewed John to create editorial content for John’s retail website. It was at a time when his luthiery career was at its peak, not only offering customer-specified arch-top guitars, but also flat-back mandolins in the American A and F styles. John’s prominence at music festivals obscured the fact that he was not a practising stringed instrument musician. In his youth the piano had been a field of study. Yet when he adapted his woodworking skills to luthiery, capitalising on his fine attention to detail, he was able to craft admirable and beautifully finished instruments. Despite his relatively short luthiery career, he has left a small collection of fine arch top (jazz) guitars and A and F-model mandolins across southern and eastern Australia. A couple have been to the US, too – the home of the F-model mandolin made famous by the ‘father of bluegrass’, Bill Monroe. The intriguing aspect about John’s work was that, in choosing to craft mandolins, and especially of the ‘F’ style, he was stepping into one of the most challenging luthiery fields – only ventured into by the brave and the exceptionally skilled. The F-model mandolin is extremely difficult to make well for a number of complex technical reasons. The instruments he was making in the mid-to late-2000s were very good and admired by serious bluegrass pickers. At an average price of about AU$3000 for “A” models and AU$6000 for F models, they were significantly cheaper than those made by Australia’s undisputed mandolin master, Victorian luthier Steve Gilchrist (average F-model retail AU$20,000–25,000). At John’s mid-2000s production peak he would create batches of five or six at a time, perhaps twice yearly – that’s how long it took to complete each batch. He was fascinated by the tonal differences of woods, but confessed not to fully comprehend the sound differences between different spruces, bracing patterns or even string gauges. It all sounded sweet to him – and his admirers agreed. Musicians freely gave their opinions and advice, and John was always keen to listen. Having visited the US to scrutinise the bluegrass communities there, he paid close attention to how the Americans pursued their luthiery, and his F models, while not replicas, reflected many of the features of the early Gibson mandolins. There are probably fewer than 45 Liddy mandolins (A and F-models) in Australian circulation today, and probably fewer guitars. Now, this brand is destined to be rare. However, because of their excellent workmanship, generations to come will enjoy them. 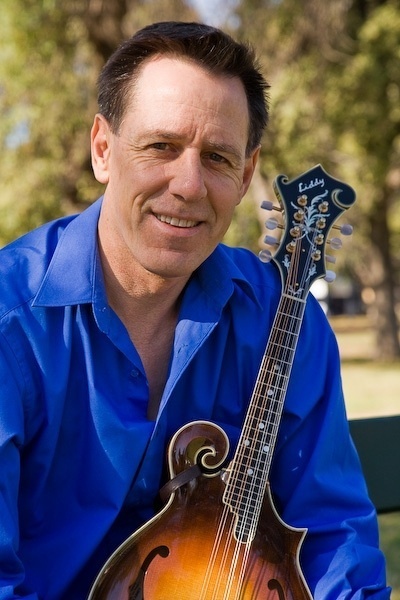 * John Bridgland is an Adelaide mandolinist in the bluegrass band Bluegrass Junction, and is a proud owner of a Liddy F5 mandolin. During the 2000s he had the occasional pleasure of inspecting, and commenting on, new mandolins as John crafted them. John Bridgland is writing a small publication to honour John Liddy’s contribution to Australian bluegrass. If you want to contribute or seek more information, email John on jbeditor@senet.com.au. Mandolin and guitar maker John Liddy from South Australia gives an interview with Paul Thompson. Read the full interview on his website.